In a large environment with many active directory domains and some servers which are not domain members, it is difficult to find all duplicate SusClientIds. Remote registry queries are not an option because there are many systems in protected networks behind firewalls. 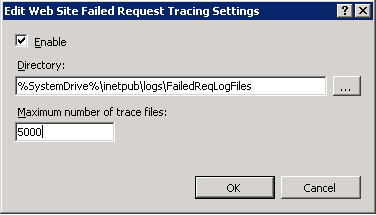 So I decided to use the IIS Failed Request Log to detect duplicate SusClientIds. In the Connections pane, expand the machine name, expand Sites, and then click on the Site, where WSUS runs. 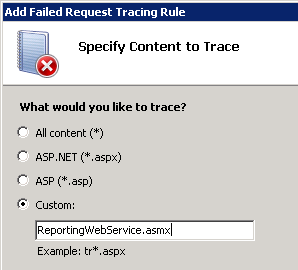 In the Add Failed Request Tracing Rule wizard, on the Specify Content to Trace page, select Custom and enter the value ReportingWebService.asmx. Click Next. 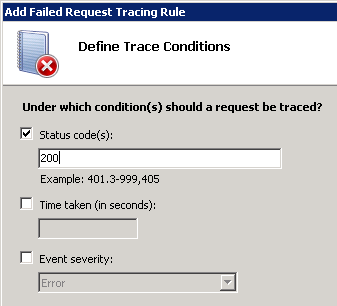 On the Define Trace Conditions page, select the Status code(s) check box and enter 200 as the status code to trace. Click Next. 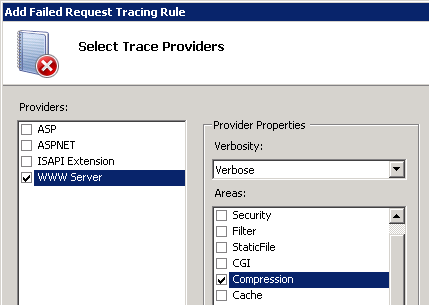 On the Select Trace Providers page, under Providers, select the WWW Server check box. Under Areas, select the Compression check box and clear all other check boxes. Compression is not what we are looking for, but it is required to select at least one Area. After some logging (minimum 24h) in the Path C:\inetpub\logs\FailedReqLogFiles\W3SVC[xxxxxxxxx] are many new xml-files are created. This is the work directory for the following steps. To analyze this files, I wrote the script get-susclientids.ps1 to get a list of all IPs and SusClientIds. Now it’s time to reset the SusClientId on the listed systems. Dieser Beitrag wurde unter Windows abgelegt am 3. Mai 2016 von Micha. Hi, not work on IIS in Windows 2008 std. parameter RemoteAddress is not in XML files contained. As I understood, this will work only from 2012R2 and newer? I think I tested it with Server 2012 R2. But it probably works with Server 2016 as well.